Efficiently supporting advanced OLAP visualization of multidimensional data cubes is a novel and challenging research topic, which results to be of interest for a large family of data warehouse applications relying on the management of spatio-temporal (e.g., mobile) data, scientific and statistical data, sensor network data, biological data, etc. On the other hand, the issue of visualizing multidimensional data domains has been quite neglected from the research community, since it does not belong to the well-founded conceptual-logical-physical design hierarchy inherited from relational database methodologies. 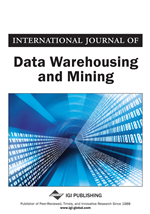 Inspired from these considerations, in this article we propose an innovative advanced OLAP visualization technique that meaningfully combines (i) the so-called OLAP dimension flattening process, which allows us to extract two-dimensional OLAP views from multidimensional data cubes, and (ii) very efficient data compression techniques for such views, which allow us to generate “semantics-aware” compressed representations where data are grouped along OLAP hierarchies.